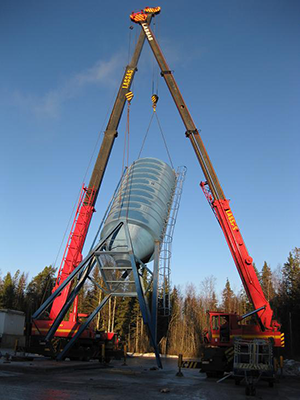 Retomec Oy (Ltd) is a Finnish company spesialized in industrial maintenance, mechanical equipment installation and transfer, dismantling works and manufacture of machine components and steel constructions. Our employees are metal industry professionals and most of them have long working experience in the field of maintenance and machine installation and transfer. The most important resource of our company is the expertise of the personnel. Our main customers operate in mining, cement, plaster and mortar and concrete industry. Main work area is Finland but we have done several jobs around the world. Our workshop located in Lohja South Finland. 60km west from Helsinki. Please dont`t hesitate to contact us for any inquiries.